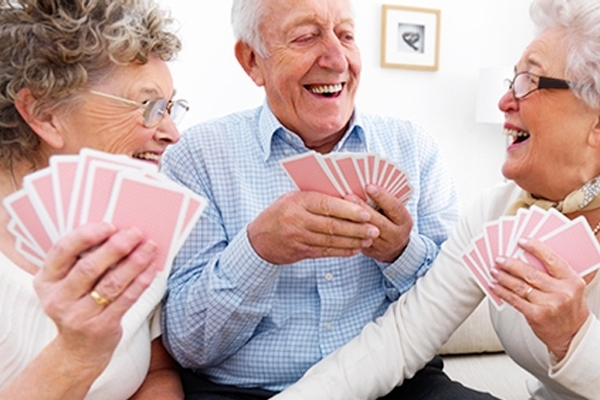 (p1) A new report says playing card games can help stroke patients recover just as much as virtual reality games. Researchers conducted tests on 141 patients to determine whether gaming or traditional games was better at treating strokes. They found that playing cards, games like dominoes, and even throwing paper balls into a basket improved patients’ motor skills. Playing bingo or using a Wii games console also aided recovery. The researchers reported that if the task used to recover motor skills is intensive, repetitive and gets the hands and arms moving, it will help. Do you like to play card games? Why or why not? Should more research be conducted to find a cure for stroke patients? Why or why not? Can you think of other games or exercises that use human motor skills? How many stroke sufferers were tested in the study? Which body parts need to be in motion to help strike victims?